This case was designed around a Sharp LC-70LE650U 70" LCD monitor for use in mobile presentations around a college campus. 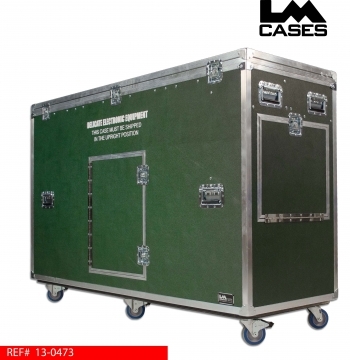 The case is designed to be operated by one person, all lids; including the main top lid is hinged removing the need for a technician to ask for help during set up and tear down. Because the top lid is large, gas springs were installed to assist with opening and closing. 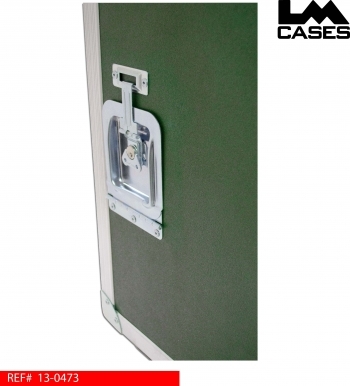 The gas springs also provide an extra level of safety to ensure the lid remains open during use. The monitor raises from the case on an electrically powered lift, all input and output connections on the monitor are relocated to a panel on the side of the case which prevents the need to reach up to the monitor once its in the air. All cables connected to the panel are wrapped into a single neat bundle that travels up and down with the monitor, this provides a very neat and pleasing visual esthetic. 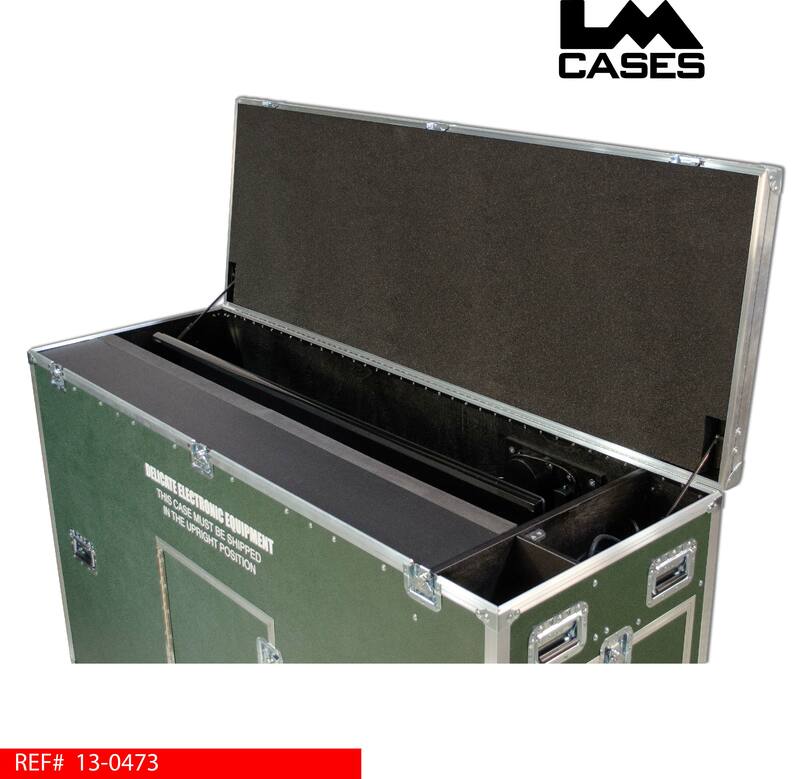 The side of the case features a pop up table that is designed to hold a laptop during use. The pop up table is made out of 3/4" Baltic birch, laminated with black Formica and finished with black molding around the edges. 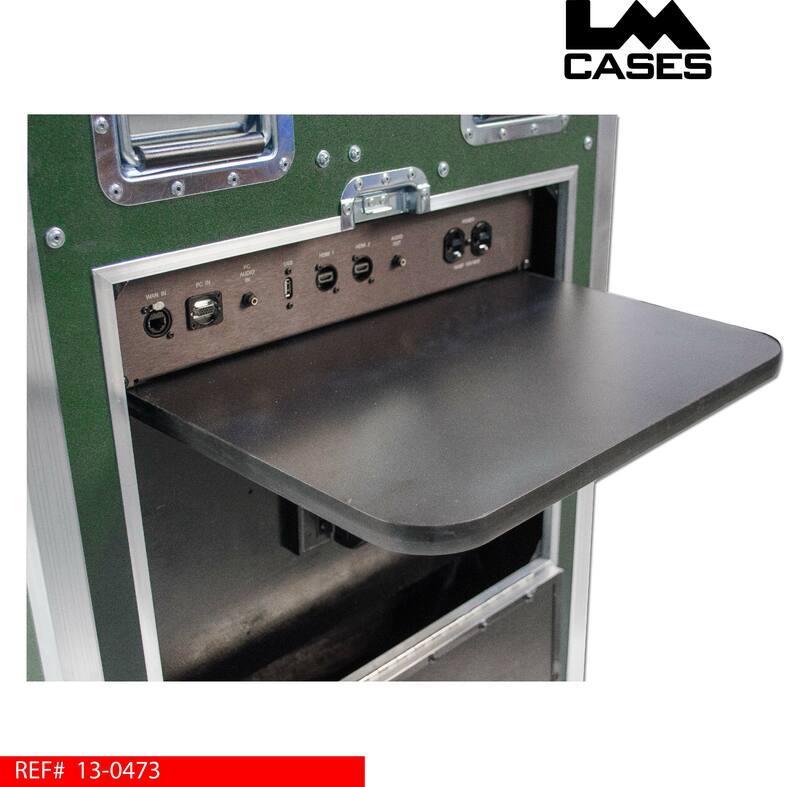 Above the pop up table is a panel that features all input and output connections on the monitor. 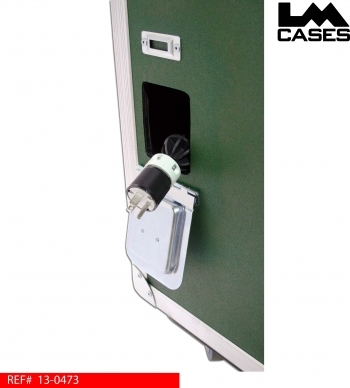 It also provides a duplex power outlet for powering the computer during use. All cables connecting the monitor to the panel are neatly bundled and wrapped in TechFlex cable braiding which provides an extremely neat final appearance. 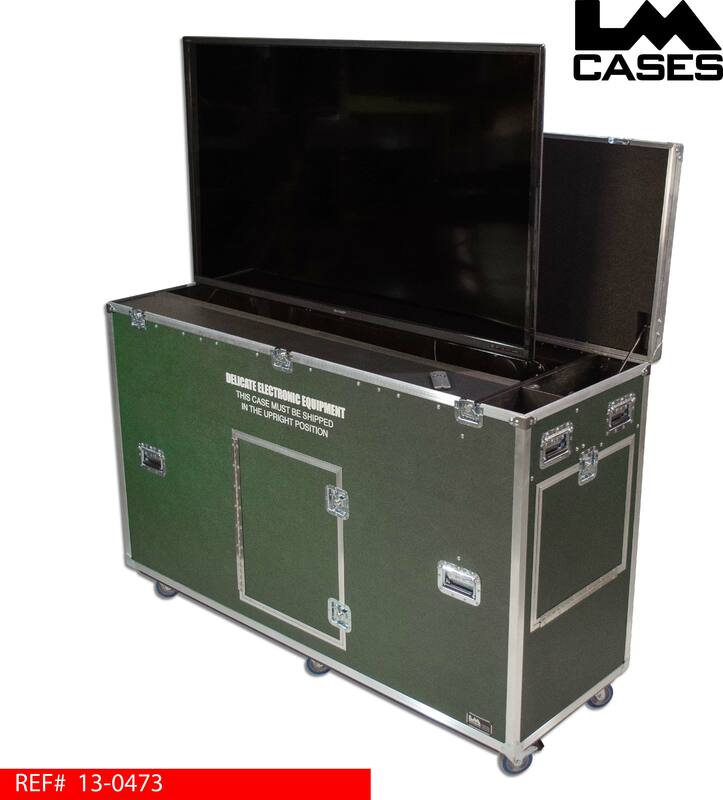 The case is powered via a retractable 30' power cable which eliminates the need to carry an extension cord. 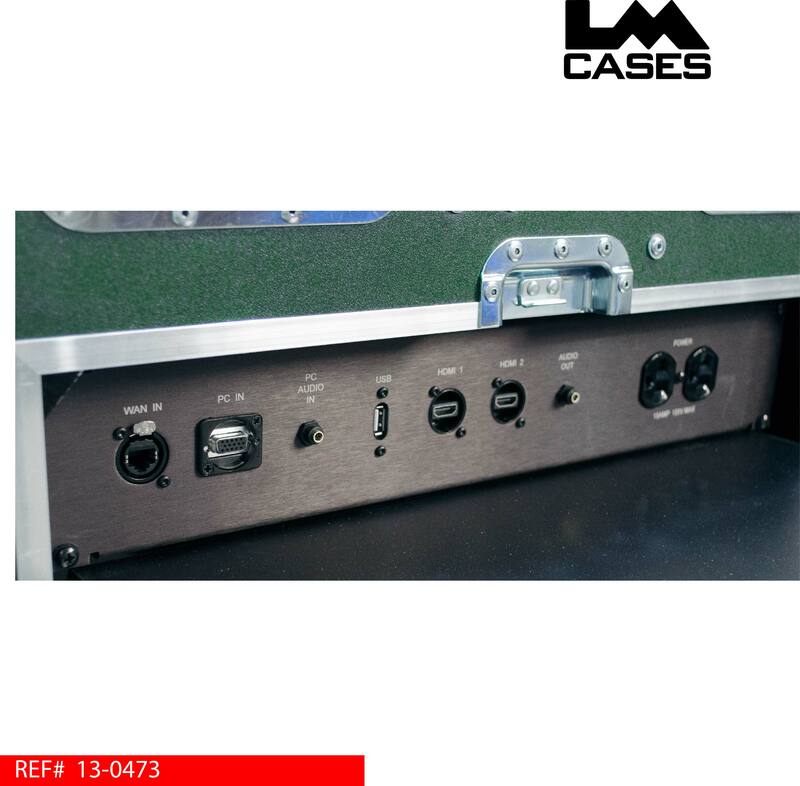 All wiring and installation was handled by the LM Cases Custom Integration department. The exterior case is built out of 3/8" plywood laminated with forest green ABS plastic and features 4" Colson casters, deep recessed handles and a "delicate electronics" silkscreen. 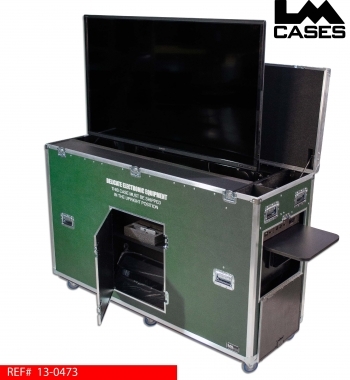 Special thanks to RCI Sound Systems for a great project!